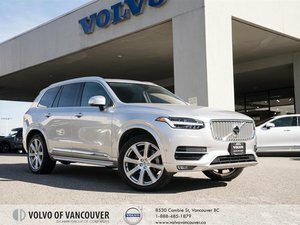 Serving up maximum driving pleasure and performance, our Accident-Free 2017 Volvo XC90 T8 R-Design AWD SUV is dynamite in Crystal White Pearl Metallic! Motivated by a Turbo Charged and Super Charged 2.0 Litre 4 Cylinder paired with a plug-in hybrid electric motor that provides 400hp while tethered to a responsive 8 Speed Automatic transmission. The road presence of this All Wheel Drive is unlike any other with near 8.7L/100km and feels nimble with responsive handling and tenacious traction. Feast your eyes on unmistakable and edgy styling with a distinct R-Design grille, 20-inch alloy wheels, roof rails, a panoramic sunroof, and a hands-free power tailgate. 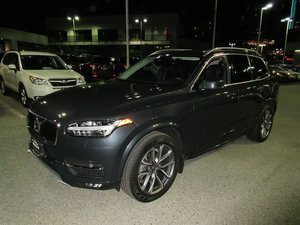 This XC90 R-Design cabin is a sanctuary that seats 5; the interior is flawless in form and function with ultra-supportive leather front seats featuring 10-way power/lumbar adjustments. The central touchscreen display has available navigation, voice controls, Bluetooth, and smartphone integration. Imagine yourself behind the wheel, listening to whatever tunes suit your mood on our concert-quality sound system with available satellite radio, an auxiliary audio input jack, and an iPod/USB audio interface. 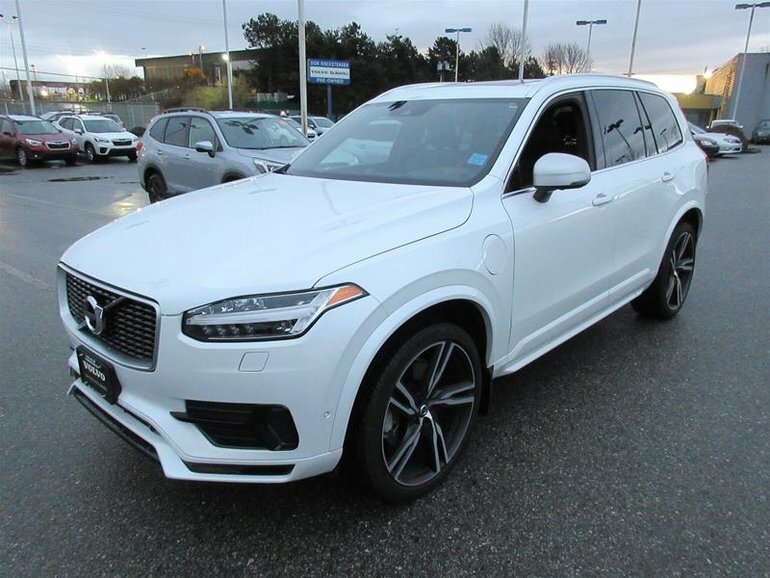 A Top Safety Pick, our XC90 includes LED adaptive headlights, a rearview camera, frontal collision warning with pedestrian and cyclist protection, automatic braking, and more. 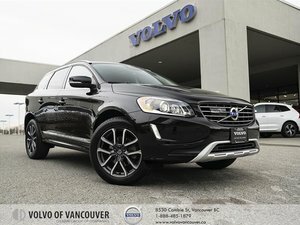 Designed to improve and simplify your life, our XC90 T8 R-Design is an ideal choice! Print this page and call us Now... We Know You Will Enjoy Your Test Drive Towards Ownership! Our advertised price includes a $495 Documentation Fee. No additional fees or surprises when you are ready to purchase. We offer financing options for most of our quality Pre-Owned Vehicles. 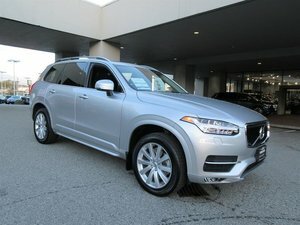 Interested in the 2017 Volvo XC90 T8 PHEV AWD R-Design ?